Austria's conservative People's Party, led by 31-year-old Sebastian Kurz, is set to win the country's general election, projections suggest. Mr Kurz is on course to become the world's youngest national leader. The People's Party was set to win more than 31%. It is so far unclear whether the Social Democrats or the far-right Freedom Party will finish second. Short of a majority, Mr Kurz's party could seek an alliance with the anti-immigration Freedom Party. Addressing his supporters, Mr Kurz said: "It is time for change in this country. Today is a strong order for us, to change this country, and I say thank you to you all who made this possible. "I'm overwhelmed, I am happy, and I look forward to working for Austria." Before the election, Mr Kurz served as Europe's youngest-ever foreign minister, after he was appointed in 2013 aged just 27. In May 2017 he became the leader of the People's Party. He began his political career in the youth wing of the party, which he chaired before moving on to serve on Vienna's city council. Nicknamed "Wunderwuzzi" (very roughly translated as wonder hotshot), he has been compared to the young leaders of France and Canada, Emmanuel Macron and Justin Trudeau. Much like Mr Macron, Mr Kurz has created a movement around himself, rebranding the People's Party - which has been in power for more than 30 years - as "The New People's Party". What were the main issues? Immigration was the dominant issue in the run-up to the vote, and Mr Kurz moved his party to the right in the wake of Europe's 2015 refugee crisis. The rightward shift was seen as a response to the success of the Freedom Party, which narrowly missed out on the presidency in December when Norbert Hofer was defeated by Alexander Van der Bellen, head of the Greens. 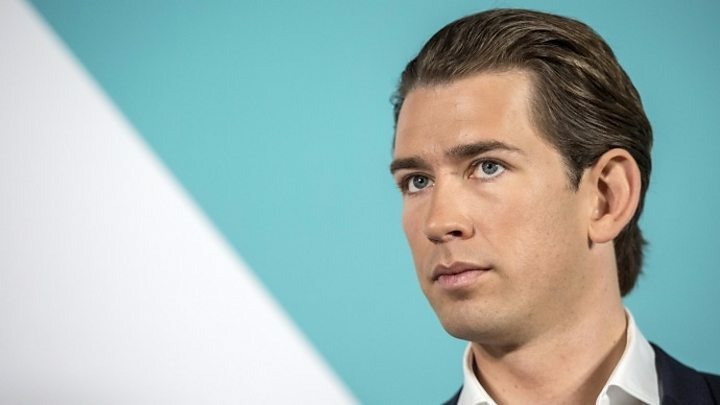 The stance proved popular with Austrian voters after a huge influx of undocumented migrants and refugees from the Middle East and North Africa. The Freedom Party accused Mr Kurz of stealing their policies. Their candidate, Heinz-Christian Strache, has called him an "imposter". Mr Kurz is on course to win the lion's share of the vote but not a majority. If the forecasts are correct, he will need to form a coalition, most likely with the Freedom Party. The last coalition between the Social Democrats and the conservatives fell apart this spring - and there may be reluctance to renew it. But an alliance with the populist, far-right Freedom Party could prove controversial among Austria's EU counterparts. Mr Kurz refused to discuss his plans, saying only that he would talk to other parties. He says he wants to wait for final results. Polls have put the Freedom Party at an all all-time high of 26.9%, suggesting that the European far-right is not dead after emphatic defeats in France and the Netherlands. The relative success of the Freedom Party follows an electoral breakthrough by the far right in neighbouring Germany last month. The current chancellor, Social Democrat leader Christian Kern, could lose his position after a campaign marred by several scandals, including allegations that his adviser led an online smear campaign against Mr Kurz. But Mr Kern said on Sunday he had no intention of standing down as leader, despite the party's loss. "I have said I will stay in politics for 10 years and there are nine years to go," he told broadcaster ORF. After a tumultuous year with internal rifts, the pro-refugee Greens party is among several smaller parties uncertain of reaching the 4% threshold required to enter parliament.